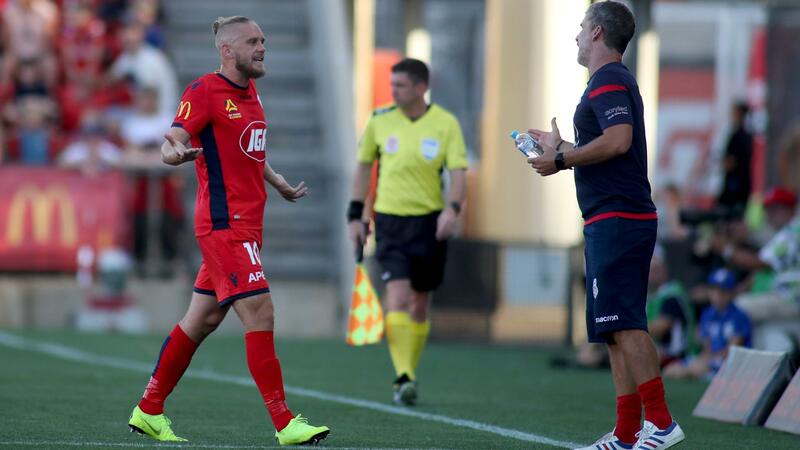 Adelaide United player Ken Ilso Larsen has been suspended weeks out from the A-League finals after testing positive for a chemical linked to cocaine. The 32-year-old Danish forward has been “provisionally suspended” by Football Federation Australia (FFA), which said Larsen returned a positive A-sample for benzoylecgonine, a metabolite of cocaine. The Australian Anti-Doping Authority (ASADA) performed the test on January 27. The chemical compound is prohibited by both the world anti-doping code and the FFA’s national anti-doping policy. “The provisional suspension is a mandatory step under FFA’s national anti-doping policy,” the FFA said in a statement. Larsen has played 19 games for the Reds, scoring three goals, since signing a one-year deal before the start of the season. The FFA said Larsen would now have an opportunity to have his B-sample analysed before the FFA decided whether to issue him with a violation notice. Adelaide United has released a statement in response to the suspension, saying the club fully supported the FFA’s policies. “Adelaide United fully supports the policies of FFA and the Australian Sports Anti-Doping Authority,” chief executive Nathan Kosmina said. Kosmina said as the matter sat with the FFA and ASADA, the club would not be able to comment further. “Nevertheless, Adelaide United recognises the significance of the matter and wants to ensure our members, fans, and stakeholders that we will treat this with the utmost seriousness and sensitivity,” he said. 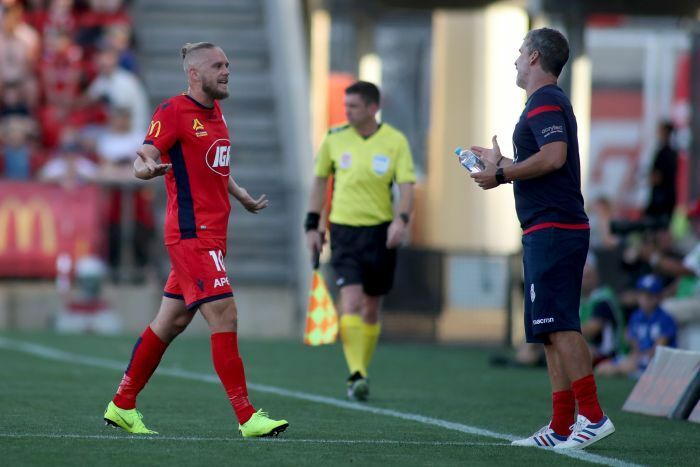 The incident came as Adelaide United confirmed this week it would not renew German coach Marco Kurz’s contract beyond this season. Chairman Piet van der Pol said the club was grateful for Kurz’s hard work and for helping to guide the side to its second FFA Cup trophy. “Marco has our full support for the remaining games this season as we push to secure a home final and look to go as far as we can in the finals,” he said. 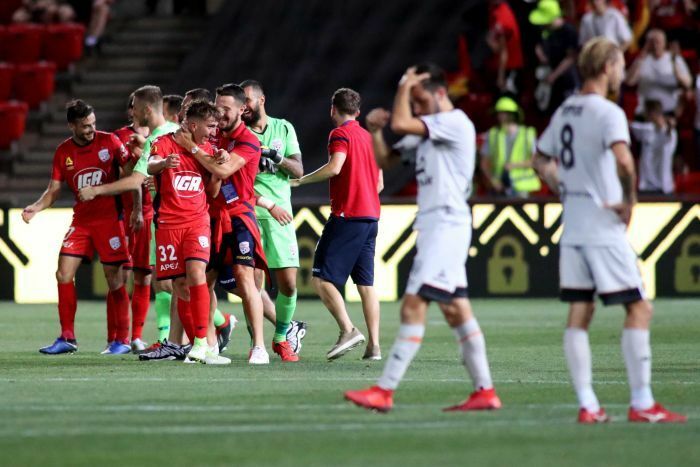 Adelaide United is coming off a 2-0 loss to Perth Glory at Hindmarsh Stadium in Adelaide last weekend and will face Central Coast Mariners this Sunday. The Reds sit sixth on the A-League table with five games remaining before the finals series.